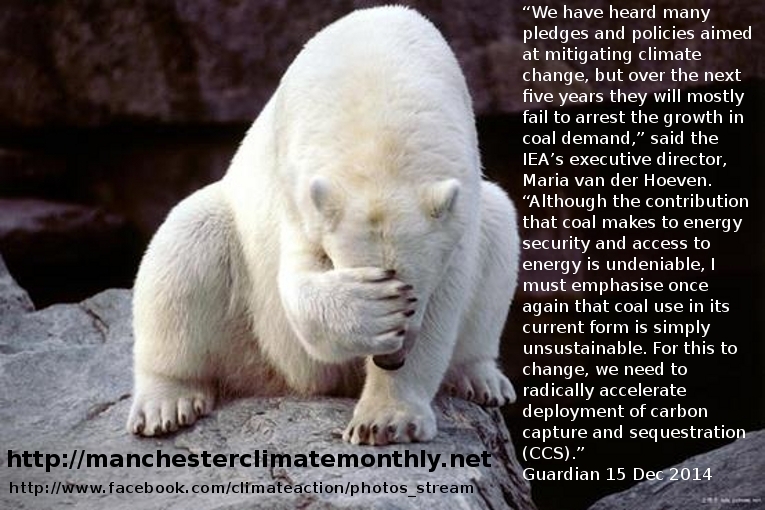 This entry was posted in Energy, Polar Bear Facepalm. Bookmark the permalink. Carbon Capture and Sequestration (CCS), is another technology, the fossil-fuel addicts cling onto in the hope it might avert climate change. There are only a few small scale plants, such as Statoil’s one on an oil rig. They are very expensive to manufacture, requiring special metals to withstand the heat and corrosion whilst reducing the efficiency of the plants, They should be moving away from large-scale power plants, especially coal-fired, to localised power units.